Top Rated Test Prep Tutors in Phoenix, AZ! Welcome to Phoenix’s top-rated private test prep in-home tutoring service! 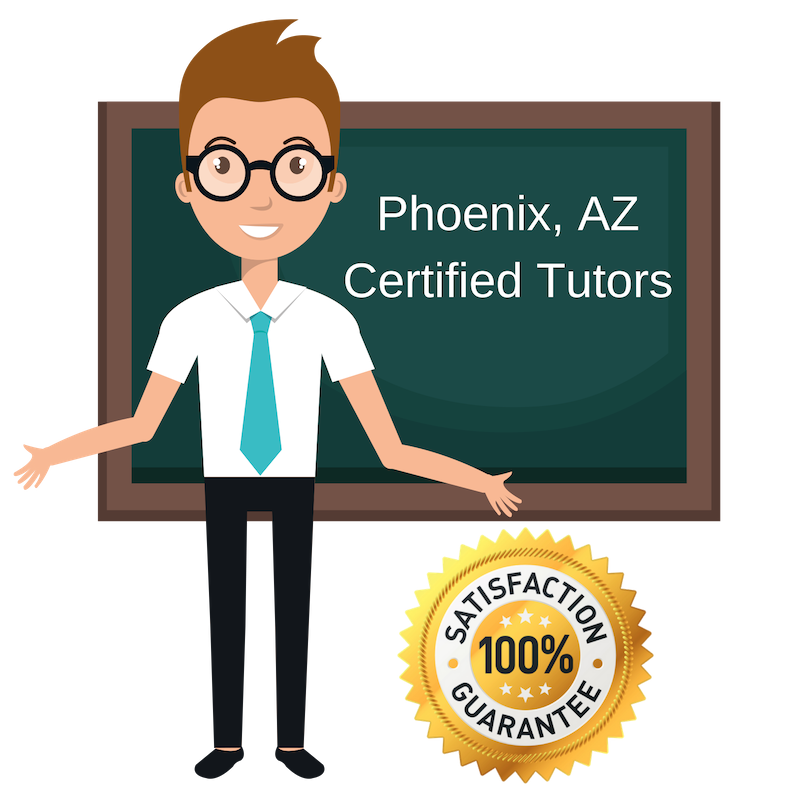 All of the following Phoenix test prep tutors are certified by Varsity Tutors, the leading tutoring agency in the country! All Phoenix test prep tutors have been background checked, been interviewed, had mock trigonometry tutoring sessions, and been trained by professionals. We guarantee you will love your local Phoenix test prep tutor or your money back! Get information regarding a top-rated test prep tutor today! I have extensive experience in the educational realm. I have taught young students and adults and I earned a Master’s in Elementary Education. Throughout all of own schooling and my teaching, I have learned how important test taking is, which is why I decided to tutor students in test prep. Much of our testing nowadays is standardized and students need to be prepared and comfortable in this environment. I want to share skills and insights I have learned and used to help students better prepare for tests and approach them with confidence. I try and make my students feel comfortable and welcomed in my teaching environment. When I’m not tutoring, I enjoy going to see new movies, riding my bike outside, or reading a good book. My teaching experiences began when I was pursuing a Master’s degree at UNC-Chapel Hill. There, I taught undergraduate classes and realized I enjoyed teaching and helping others in their educational pursuits. This is why I began tutoring students in test prep. I understand the importance of test taking and know that with some help and confidence, a student can score much better. I want to help each student approach test day with confidence and ease. From teaching in a classroom to offering at-home tutoring sessions, I am flexible to whatever makes the students most comfortable and excited to learn. I try and modify my teaching to each student to match their needs. Much of my professional experience over the past fifteen years has been teaching at the collegiate level. Most of my courses have covered chemistry, but I as test taking is a part of each course I have developed many strong skills I share with my students each year. This led me to tutor students in test prep. Everyone should have access to valuable test preparation skills and I want to share what I have learned and what my students have proven to be effective. I have taught a variety of students at colleges like Apollo College, DeVry, Arizona State University, and Scottsdale Community College. I hope you will let me help you become a better test-taker. A big part of why I tutor is that I love seeing students excel from the experience. I really enjoy sharing what I know and what I’ve learned with students and finding the best way for them to learn new concepts and ideas. My current tutoring focus is on test prep, so that I can help students better prepare themselves for standard test taking. I share test taking skills and habits with students that will help them approach test day with ease and confidence. I started tutoring after I had already had over twenty years experience teaching high school and college students, which I truly enjoyed. Since graduating from Arizona State University almost ten years ago, I have spent my professional time teaching and tutoring. No matter the age, I welcome the student to learn with me. I currently offer tutoring in test prep. Being able to successfully take standardized tests is a skill not many students have and I want to help change that. I try and make my tutoring sessions exciting and interactive.